BIG BROTHER returns this summer with even more interactive and cross-platform programming for viewers and fans to enjoy. This year, the popular 24/7 BIG BROTHER Live Feeds join the CBS All Access subscription service which, for $5.99 a month, also gives fans the ability to watch every episode of BIG BROTHER that has ever aired across multiple platforms. Also, in a CBS All Access BIG BROTHER first, subscribers will have the opportunity to meet the Houseguests before anyone else via a live stream of their first interviews on June 16. BIG BROTHER debuts with a special two-night premiere, Wednesday, June 24 and Thursday, June 25 (8:00-9:00 PM, ET/PT), on the CBS Television Network. BIG BROTHER AFTER DARK premieres on Pop Thursday, June 25 (12:00 AM-3:00 AM, ET/PT). o Meet the BIG BROTHER Houseguests Before Anyone Else: Those who sign up for CBS All Access before the show’s premiere will have access to special features, including the first-ever live-stream of each of the Houseguests’ first interviews on Tuesday, June 16 at 11:00 AM, ET/8:00 AM, PT, giving them the chance to meet the Houseguests before anyone else. In addition, early-bird subscribers will be able to participate in Live Chat events with BIG BROTHER insiders. o Every Episode From Every Season of BIG BROTHER: CBS All Access offers BIG BROTHER fans the opportunity to watch every episode from every season of BIG BROTHER. o Watch BIG BROTHER Across Devices, Including Roku Players: Through CBS All Access, fans will be able to watch the live broadcast of BIG BROTHER across platforms in select markets and on-demand a day after they air through CBS.com, the CBS App, the CBS All Access Roku Channel and Chromecast. o CBS.com’s “BIG BROTHER Live” Series: The weekly “BIG BROTHER Live” web series will return with host Jeff Schroeder. Every Friday at 12:00 PM PT, Schroeder will take questions directly from fans via social media and interview Houseguests and series experts in a live streaming chat. o Watch Recent BIG BROTHER Episodes: Fans without a CBS All Access subscription will still be able to catch up on this season’s episodes on CBS.com the day after they air. Also, episodes will be available on an eight-day delay through the CBS App for iOS, Android, Windows 8 and Blackberry. o BIG BROTHER Photo Booth: The BIG BROTHER Photo Booth returns for its third season, but with a new twist. Houseguests will be given specific directives and themes for the BIG BROTHER House Photo Booth each week. Fans will be able to check out the Photo Booth galleries on CBS.com. o BIG BROTHER Social Accounts: On Twitter, fans can follow @CBSBigBrother for updates on the show, @BigBrotherScoop for exclusive production updates, and @BigBrotherHoH for messages from each week’s Head of Household. On BIG BROTHER’s Facebook page (https://www.facebook.com/BigBrother), fans can get updates on the show and exclusive bonus content all summer long. BIG BROTHER’s Instagram account (CBS_BigBrother) will feature exclusive photos and videos of the Houseguests. · BIG BROTHER on the CBS Television Network: BIG BROTHER will debut in HD with a special two-night premiere, Wednesday, June 24 and Thursday June 26 (8:00-9:00 PM, ET/PT). The Thursday edition, featuring the live eviction show hosted by Julie Chen, moves to its regular time period on July 2 (9:00-10:00 PM, ET/PT). The Sunday broadcast premieres June 28 (8:00-9:00 PM, ET/PT). · BIG BROTHER AFTER DARK on Pop: BIG BROTHER AFTER DARK is the ultimate fan after-show and the live, late night companion to CBS's BIG BROTHER. Seen in 80 million homes and available on most major providers – including DirecTV, Dish, Comcast, Time Warner Cable, Charter Communications, Cox Communications, Verizon FiOs, Mediacom, Bright House Networks and more – Pop (formerly TVGN) is a nationally distributed cable network that celebrates the fun of being a fan. Airing exclusively on Pop, BIG BROTHER AFTER DARK gives fans of the popular reality series an unfiltered, late night look at life in the “Big Brother House” with a live television feed, where nothing is sacred and anything goes. BIG BROTHER AFTER DARK premieres Thursday, June 25 at a special time (12:00 AM-3:00 AM, ET/PT). Beginning Friday, June 26, BIG BROTHER AFTER DARK’s regularly scheduled air times will be: Monday and Tuesday at 11:00 PM-2:00 AM, ET/PT; Wednesday, Friday, Saturday and Sunday at 12:00 AM-2:00 AM, ET/PT; and Thursday at 1:00 AM-3:00 AM, ET/PT. Last summer, BIG BROTHER experienced significant growth across platforms. All three editions of BIG BROTHER regularly won their time periods in key young demographics and ranked among the summer’s top 10 programs in both adults 18-49 and adults 18-34. 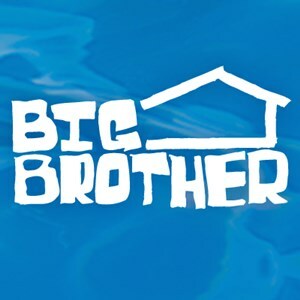 Across digital platforms, traffic to BIG BROTHER pages on CBS.com saw an increase of 61% over last year and users watched nearly 120 million video streams via CBS.com, the CBS App and the BIG BROTHER LIVE FEEDS service. BIG BROTHER follows a group of people living together in a house outfitted with 80 HD cameras – up from 76 last year – and more than 100 microphones, recording their every move 24 hours a day. Each week, the Houseguests will vote someone out of the house. At the end, the last remaining Houseguest will receive the grand prize of $500,000. BIG BROTHER is produced by Emmy Award-winning producer Allison Grodner and Rich Meehan for Fly on the Wall Entertainment, in association with Endemol Shine North America.